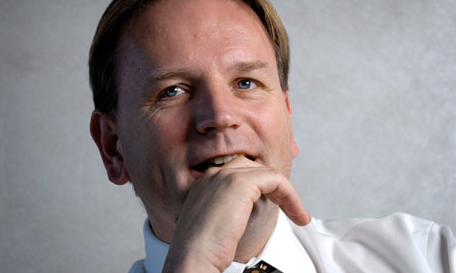 NHS England has chosen Simon Stevens, an advocate of healthcare competition and the latest reform of the health service as its new chief executive. Stevens is currently the group executive vice-president of US company UnitedHealth, one of the biggest insurance companies in the US. He has been widely tipped for the job given that he was prime minister David Cameron’s first choice for the role. He was once an advisor to the former Labour prime minister Tony Blair and helped drive the introduction of independent sector treatment centres, whereby private companies are paid to operate on NHS patients. He is however not a member of any political party. Stevens has argued that competition can drive up standards and in 2010 praised former health secretary Andrew Lansley’s controversial health reforms, which became law in 2012. He has suggested that the organisation could copy education secretary Michael Gove’s free schools model by allowing new independent GPs to compete for patients. Stevens, who was educated at Oxford, worked as an NHS manager for nine years before joining the Department of Health when Labour took power in 1997, moving to Downing Street after the 2001 election. He will take over from the beleaguered Sir David Nicholson, who is set to retire in March next year. Sir David led the health authority responsible for a failing Staffordshire hospital for ten months between 2005 and 2006. Data showed that there were between 400 and 1,200 more deaths than would have been expected between 2005 and 2008 at the hospital, and Sir David had been under to pressure to quit since the publication of the latest Francis report into the failings in February. He announced in May that he would step down, but said it was a personal decision and not based either on what happened at Mid Staffs or the latest Francis report. He will now be in charge of around £45 billion of the total £106 billion NHS budget, and oversee the new management structure of the NHS that is being led by more than 200 clinical commissioning groups. He will also become the main front man in helping the NHS save £20 billion by 2015 whilst also being given a mere 0.1% increase in the NHS budget this Parliament. On top of this he will also be charged with helping change the NHS culture that led to the failings at Staffordshire hospital, with the government urging the need for more compassion to be injected into the workings of the health service. Stevens said that he would take home £189,000 per year after volunteering to take 10% less than Sir David. He is believed to be earning a much higher amount at his current position in United Healthcare, a post he will give up when he takes over from Sir David in March. Jeremy Hunt, the health secretary said: “Simon has an extraordinary reputation in the UK and abroad as a reformer and an innovator, and we are lucky to have someone of his calibre doing such a vital role. He will make a key contribution to the two biggest challenges facing the NHS right now: how to raise standards of care and also be financially sustainable.